Under Regulation 12 of the CDM Regulations 2015 a health & safety file must be produced for all projects involving more than one contractor. The health & safety file should contain relevant information about the project that may be required in the future when any construction related work is carried out on the building after the current project has finished. Information included should only be that which is needed to plan and carry out future work safely and without risks to health. Clients have a duty to provide information to people conducting work on their premises, Principal Designer(s), designers during development stages, and Principal Contractors & Contractors. The Principal Designer must prepare, review, amend and update the file contents as the project progresses. Each party involved with the project must supply information necessary to form the file. This should include buildings materials used, health & safety information, data sheets, coshh assessments, warranties, building drawings, etc. Upon completion, the file is to be handed over to the Client to keep. Clients must ensure that the file is kept up to date with any maintenance or service records, etc. 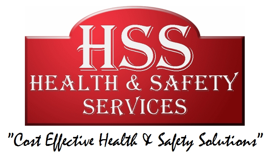 HSS Health & Safety Services can produce a Health & Safety File if required. We supply a folder with bespoke printed front and side containing all relevant information under separated and indexed partitions in the file. Our easy to use format helps the client to update and maintain information throughout premise lifetimes. Additional electronic formatted programmes are also available.